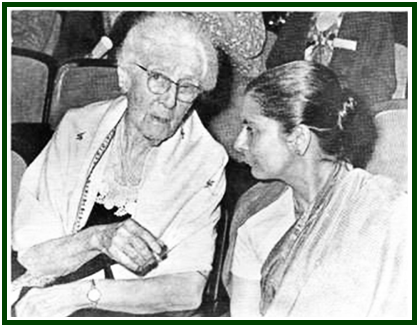 5) From India, N. Sri Ram and his daughter Radha Burnier (then India’s Secretary General) clearly resist the idea. A fact illustrates this deep difference of views. During the conversation, N. Sri Ram ironically asks whether the “text reformers” intend to re-write “The Voice of the Silence”, too. That absurd suggestion was a joke – yet it was not taken as such, and Sri Ram had to calmly explain to people that it was “not meant seriously”. Jinarajadasa’s strategy consisted in a relativistic acceptance of these three currents of thought, while preserving the centralized power-structure created by Leadbeater. The top-down structure was based in Leadbeater’s “clairvoyant” ritualisms – namely Christian messianism, Masonry and pseudo-theurgy, alongside with the popish version of the Esoteric Section which HPB had created in 1888. There was a great difference between the two teachings, and it was the Besant/Leadbeater literature which needed urgent changes. HPB students could easily see how deep and lasting was their “classical” literature. Krishnamurti followers in India – the most recent of the three currents of thought – also were not worried about changes in literature. But North-Americans cared much more about Leadbeater and Besant, and they were in a hurry to have changes in their texts. “Fifty years ago” – that confirms they are talking about the books by Besant and Leadbeater, not HPB literature.